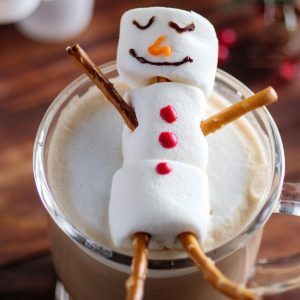 Snowman Mocha Lattes are the best way to get into the holiday spirit! 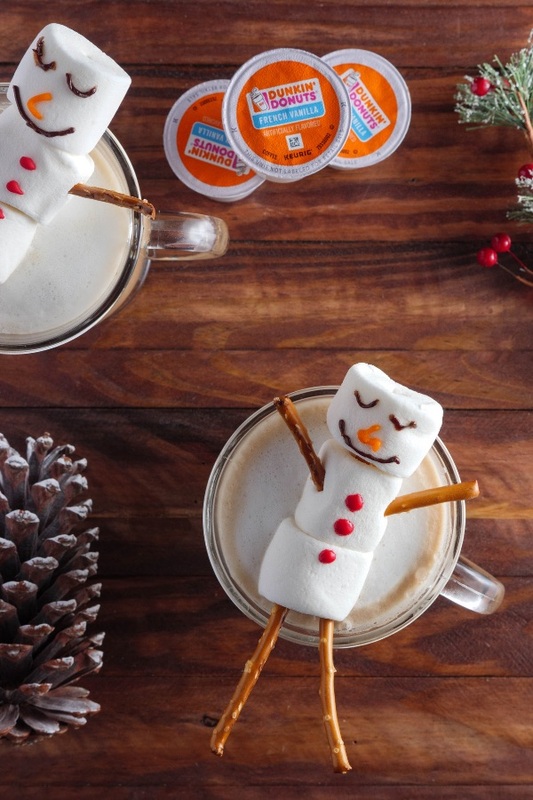 They feature adorable homemade marshmallow snowmen on top of hot mocha lattes made with Dunkin’ Donuts French Vanilla K-cup Pods for a heartwarming treat everyone will love. 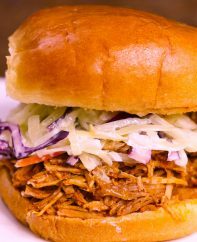 Plus video tutorial! 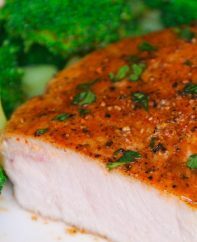 With temperatures dropping and the holidays approaching, we can all use some entertaining ideas, right? Well there’s nothing more welcoming than serving hot homemade beverages when guests come over. 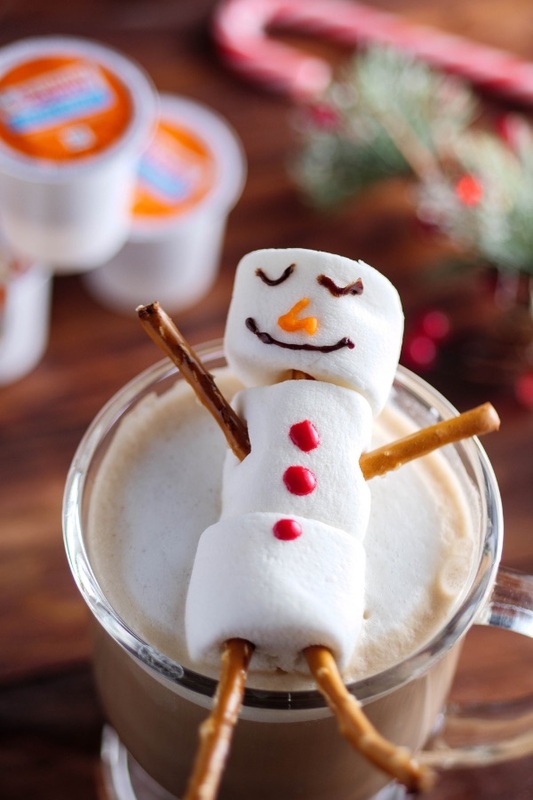 These Snowman Mocha Lattes are deliciously festive, plus they’re quick and easy to make with K-cup Pods. Become your own at-home barista this holiday season! If you can’t decide between hot chocolate and coffee, a mocha is the answer! 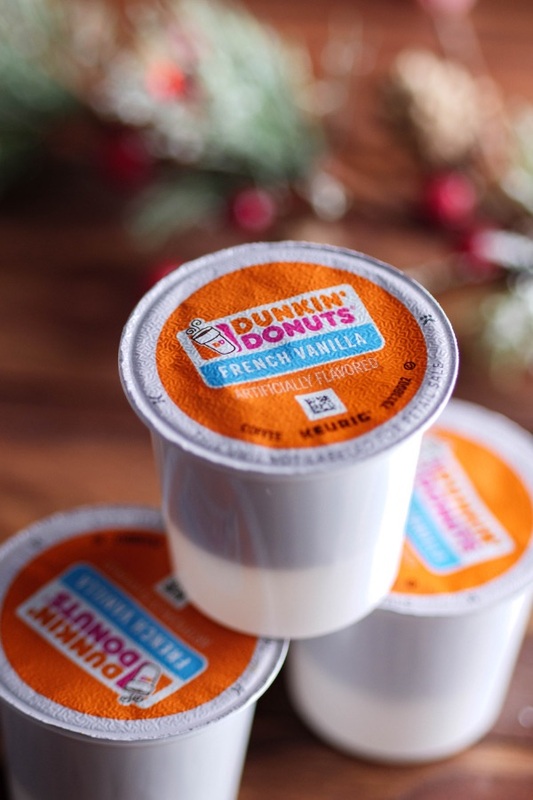 Since French Vanilla is one of our favorite flavors, we’ve chosen Dunkin’ Donuts French Vanilla K-cups Pods. You can pick them up in packs of 16 or 24 Pods in-store at Walmart or online at Walmart.com. I like to stock up to have lots on-hand for when people drop by last-minute and to serve guests after a holiday meal. There are a variety of delicious flavors to try, including Original Blend, French Vanilla and Pumpkin Spice and Decaf! There’s no cleanup required with K-cup Pods, which is always awesome. If you can’t find decorating gels, just use melted chocolate or fudge and decorate using a toothpick. You can also substitute hot chocolate mix if you prefer. Brewing the coffee should be the last step before serving. First, assemble and decorate your snowmen on a work surface. Then, mix the cocoa and sugar into a paste with a dribble of milk in the mugs. And finally, froth the milk either using the Keurig maker or in a saucepan. With everything else ready, it’s time to pop a K-cup Pod into your Keurig® maker. Brew the coffee into the mug; when finished, stir with a spoon to dissolve the cocoa and sugar. Pour in the frothy milk to about ¼-inch from the rim. And this is the most fun part: on goes the snowman, and it’s sure to put a smile on anyone’s face. You should serve within a minute or so, as the snowman will start to soften! People can pick up the snowman to eat, or use a spoon. Candy canes are fun for stirring your latte or alternatively try long cinnamon sticks. Use skewers or scissor tips to poke holes through 3 marshmallows and insert a pretzel stick through to hold together. Using decorating gels, add faces, noses and buttons on the marshmallows. Set aside. Place 1 tbsp each cocoa and sugar into each mug. 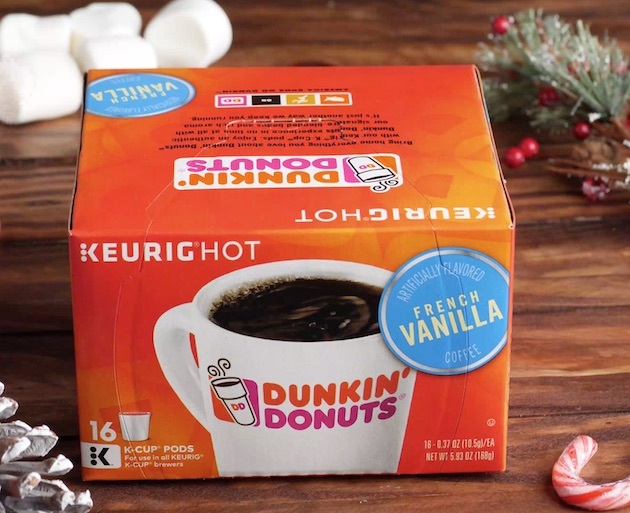 Make the coffee using the K-Cup Pods in a Keurig maker. Pour the coffee into each mug. Mix well with a fork. Top with steamed milk (extra foamy if possible). Lay one snowman across the top of each mug, facing up. Serve and enjoy! You can use melted chocolate as a substitute for brown decorating gel, and melted white chocolate mixed with food colors for the orange and red decorating gels. You can try a different Dunkin’ Donuts flavors if you prefer, or mix two together. Find them at Walmart or Walmart.com!